Unit 16 Auxiliary is collecting school supplies for elementary age children. The donation box is Post hall way. Please drop your donations off between now and Labor Day. 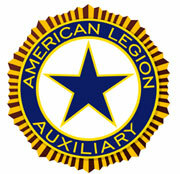 Want to learn more abou the Auxiliary of the American Legion? Contact Post 16 American Legion Auxiliary Unit, complete the application and proudly join the AMERICAN LEGION AUXILIARY. Click on for http://www.legion.org for online details or call te Post at (352) 372-8802.